Toilet paper making machine is a machinery that is used to make toilet paper. Toilet paper is used in washroom and is mainly used for daily hygiene. Toilet paper is a kind of necessary paper. There are many kinds of raw materials for making toilet paper, such as cotton pulp, wood pulp, bamboo pulp, recycle paper and so on. We Beston Machinery, one of professional toilet paper machine suppliers, can manufacture all kinds of toilet machines. 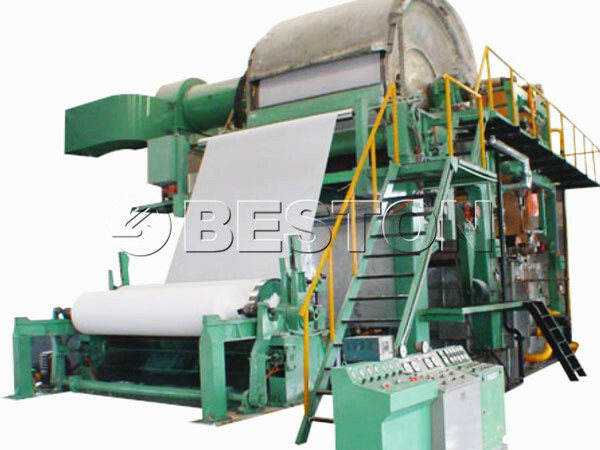 The main types of our paper manufacturing machine are: BT-787, BT-1200, BT-1092, BT-1575, BT-1880 and BT-2640. We toilet paper machine has many advantages: advanced technology, high quality, high productivity, competitive price and long service life time, etc. How To Start a Toilet Paper Manufacturing Business? At the initial stage of toilet paper manufacturing companies, most investors don’t know how to run toilet paper manufacturing business. Here, we Beston Machinery would like to give you some useful plans. Firstly, you should investigate the usage amount of toilet paper and the market potential of toilet paper making business. When you find that the market competition is not fierce, you can invest this business without worry. If you find many companies are engaged in toilet paper business, you can also choose to buy tissue making machine, book making machine or others from our factory. Secondly, you should know the investment cost of toilet tissue making machine. Different types of machines have different price. You should know them clearly. Then, you can choose to purchase the suitable machine on the basis of your fund. 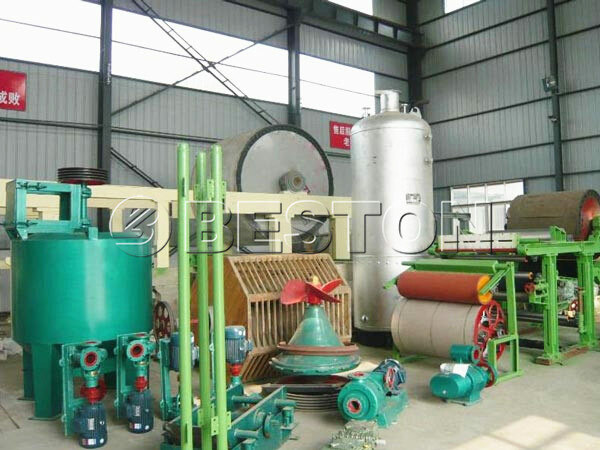 The small toilet paper making machine or small paper recycling machine is also a good choice. If you don’t have enough money, buy small machine. Investing small machine can also bring you great benefits. Thirdly, look for cooperators. You need to find someone who can provide you a large amount of raw material for toilet paper making. Meanwhile, you should look for someone who needs toilet paper. If you have manufacturing toilet paper business plan, you should seek the faithful raw material channel and distribution channel. More distribution channels can bring you great benefits. How To Manufacture Toilet Paper? From the raw material making process to the end manufacturing toilet paper process, you should control the main technological parameter well. Paying attention to every process can guarantee the good quality of end product-paper. In the process of making toilet paper, there are two main parts: approach part and papermaking part. The approach part contains repulping, defibrination, batching pulp. 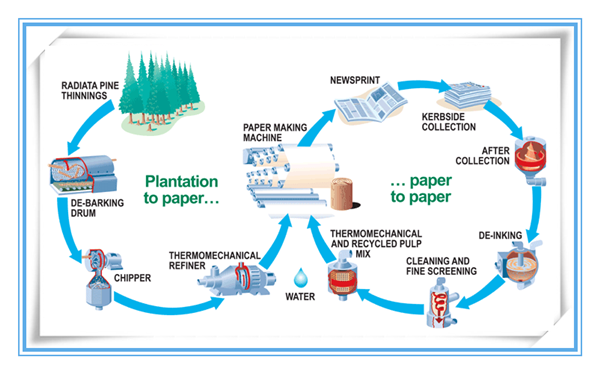 The papermaking part consists of forming, pressing, drying, paper calendering, rolling. Repulping: repulping process should make sure repulping concentration, repulping time and pulp drawing time. The repulping concentration and time determine the defibering degree of pulp. The pulp drawing concentration is the basic condition for the next process. Put the raw material into pool. When you set the right time, you can get stable pulp. Defibrination: fiberizer can grind the pulp material more evenly. It is an important toilet manufacturing process. The appropriate pulp degree can enhance the paper quality. Batching pulp: because of high productivity, the large toilet machine has upper pulp material and lower pulp material. You can add some medicament and chemical component to promote the health of paper. Forming: in the forming section, a slurry of fibre (usually wood , waste paper fibres) is drained to create a continuous paper web. Pressing: through pressing, the extra water can be squeezed out. Drying: drying the wet paper is the final process of making toilet paper. 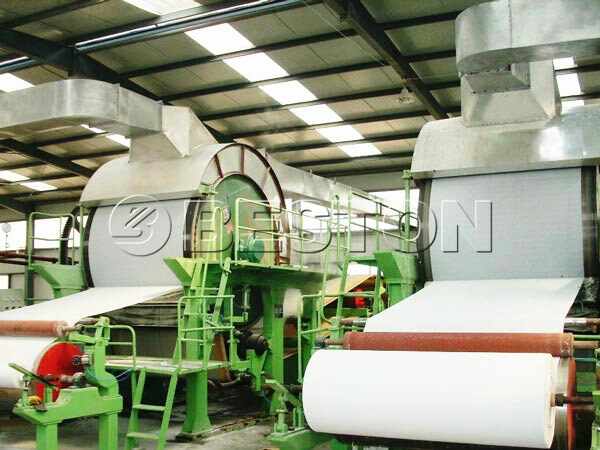 Now, are you familiar with toilet paper manufacturing process? Do you know how to produce toilet paper? Certainly, you can see the production video to help you know the manufacturing of toilet paper clearly. How To Choose Toilet Paper Manufacturing Machine? Find some big scale factories that manufacture the machine to make toilet paper. The large factories generally have professional engineers and quality inspectors that can guarantee high quality product. 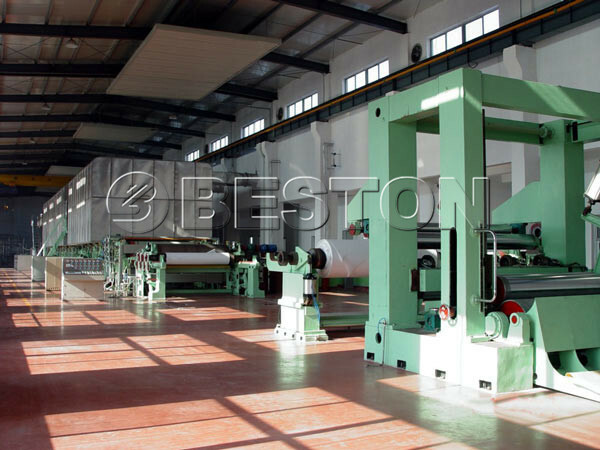 Like We Beston Machinery, in every production process, all spare parts should be tested by the quality inspectors. The toilet tissue machine manufactured by our factory has first class quality and advanced technology. Buy the machine for making toilet paper with reasonable price. You need to pay for corresponding money for the high quality toilet paper maker. You can not buy the machine with cheap money that is lower than market price. As we all know, the price will always adequate to the quality of office paper to toilet paper machine. You should pay attention to after-sale service. Perfect service can give you great convenience. In our factory, we can supply our customers: installation, workers training, maintenance and 24/h service hotline every day. When you buy our toilet paper maker machine or recycle paper machine, if you have any question, please contact us. We will try our best to solve the problem. 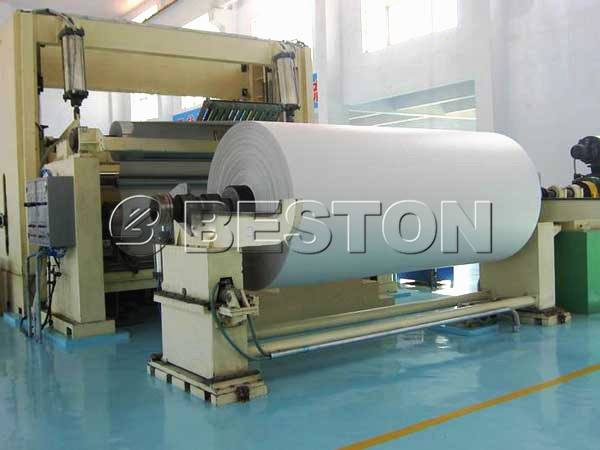 The toilet paper production line of We Beston Machinery has high quality and competitive price. It is worthy of buying. The egg tray machine price is reasonable. If you want to invest this industry, buy a set of machine from us now! We will never let you down. Meanwhile, you will be glad to cooperate with us.